Clarity Health Solutions is giving people reason to brag about seeing a Psychotherapist or Psychiatrist. Going to therapy indicates a desire for self-improvement and that is something to brag about. Clarity Health Solutions, is a fast-growing mental health practice which celebrated its one-year anniversary on February 16th in Jupiter, Florida in the Jupiter Medical Center’s Outpatient Surgery Center. Business owner and lead therapist, Jennifer Hoskins-Tomko, LCSW, has over fourteen years of experience working in the field. She is trained in EMDR, trauma work, CBT and interweaves several modalities. Hoskins-Tomko is working to create a culture of people bragging about utilizing psychotherapy, her perspective is, “Our clients are dedicated to growth and putting energy into being their best selves. They are making a sound investment for their future. Clients choosing therapy are amazing people. I am proud to work with them." Clarity has a different approach starting with the office itself, they welcome their clients with a warm waiting room which is inviting and creative, a peaceful environment for anyone undergoing stress. With fresh coffee and flowers - you might as well be at home. The office feels more like a home away from home. A television streams inspirational quotes and videos, and there’s even a box where people can take and leave their own quotes to share with others. Hoskins-Tomko says, “We want to spread positivity in any way we can." Therapy is now more than just treatment for mental illnesses, it is a way of life. Hoskins-Tomko explains the main reason she decided to call the practice Clarity. She believes, "There are so many things that stand in our way of our goals. Those things are polluting our paths to a better self. Examples of pollutants may be, other people's negativity, our own self-doubt, not getting support, over thinking and residual hurt from our youth. Clarity is about ridding ourselves of those pollutants by gaining a deeper self-discovery and shedding things that distract us from our goals." Clarity works to help a variety of different people. Hoskins-Tomko believes, "If we have to go through painful experiences, we may as well utilize it as opportunity for growth. We are here to assist with that process." At some point in life, we all may need some support to find clarity, whether it be about a break-up, a big move, a scary test, or a new job. Clarity's favorite part of working with clients is watching them navigate obstacles with integrity, so they grow during the pain. Clarity offers a variety of services to help all types of needs. They offer individual, couple's and group therapies. They have several therapists who each have their own unique tools and specialization to meet the needs of the community. Also part of the team is Dr. Karen Severson, MD, author of "Look, I Shrunk Grandma: A Psychiatrist's Guide to Nursing Homes, Dementia, and the End of LIfe", who is an adult psychiatrist with a specialization in addiction medicine and geriatrics. They are always seeking clients for these support groups. Some of the many groups include: “You’re Not Alone”(women’s group), “Retirement isn’t as easy as it Looks" (retiree group), and “What do I do Now that I am Sober” (recovery group). The groups are welcoming, productive and anonymous. Group therapy fills a therapeutic need that people underestimate. Hoskins-Tomko says, "It's an extremely powerful experience. I add a combination of education and support to my groups." Clarity's perspective on therapy and mental illness, makes people proud to go get support. Hoskins-Tomko says, "Going to therapy indicates a desire for self-improvement and that is something to brag about." 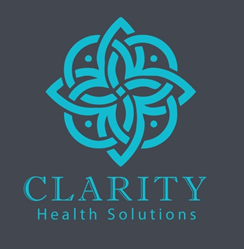 For more information on any of Clarity Health Solution' services, go to Clarityhealthfl.com, call 561-781-3333 or email at Jtomko (at) clarityhealtfl (dot) com.